By 4.30 am on Wednesday all three horses, Becky Forte and I were on the way to Windsor for two days. The first class, the Foxhunter, always starts at 7.30 on the Wednesday morning, and the M25 has to be negotiated, wristbands obtained and the course walked before getting on the first horse. With over 100 in a class where the top 6 six year olds and the top six 7 year olds qualify for the prestigious Walwyn Championship, the course was always going to be strong and Bob Ellis never disappoints. 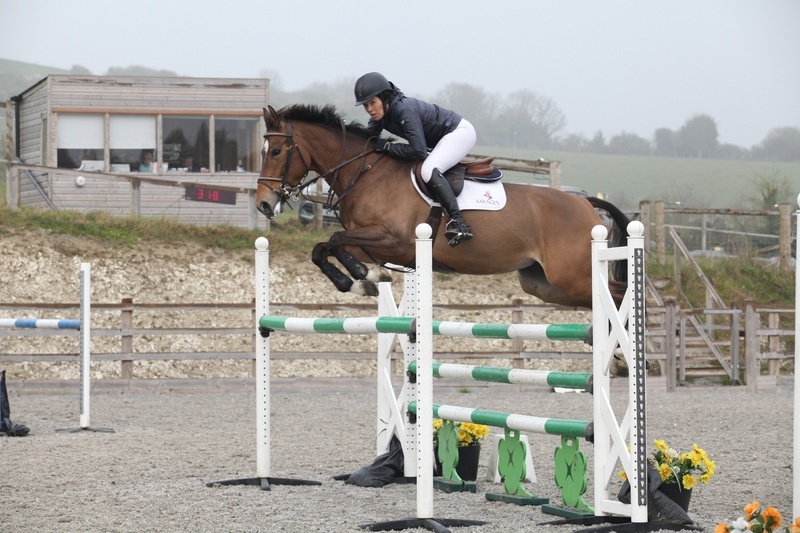 First up was Espirito Santo who has only jumped one Foxhunter and never without a smaller class first. Really he was a very good boy, he was actually trembling in the funnel, but I had to ride him very strongly over a big double away from the funnel and he landed running and I had a poor distance to the next fence which meant I rather chased him to the next double which he had down. 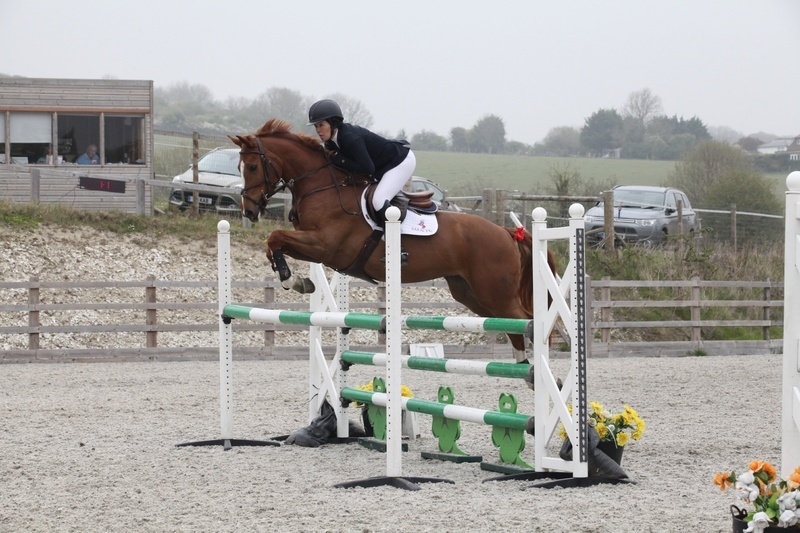 Luendi also jumped really well, but had both parts of the first double away from the collecting ring. She is a little less easy in her ride and I didn't get her change quickly enough on the corner and lost a bit of canter. She then jumped the rest of the course beautifully. However, I was thrilled with them both for being so bold in what is probably the most daunting arena that youngsters in England ever see. Emma, who is the best and boldest horse I have ever sat on, stopped at the first fence her first time at Windsor, and these two are much less precocious than she was. So by 9.30 I had finished jumping! We watched the A&B jumping in the main ring and I exercised Emma while Becky did some retail research. Eventually our stables were ready and we were able to settle the horses in for the evening and drag ourselves into Windsor for some supper and a very well earned drink. The advantage of stabling overnight was meant to be a not so early start on Thursday, it didn't quite work out as at 6.00 my phone started to ring - Greg saying that the Breen passes had mysteriously disappeared from the lorry overnight and they coudn't get in! Luckily it was a short sprint in my pajamas to find a nice man with a radio who organised for the lorry to come in, by which time some other kind competitors had given them all spare passes. Time to get going! Who knows whether the horses got any sleep, when Becky and I rugged them up at 9.30 there was a show pony still going round and round outside, and by 6.30 in the morning there were horses everywhere. Emma was last to go in the B&C handicap as the fences go up to 1.35 for the Grade B's. She jumped a fabulous round, but I must keep my hands up right to the last fence which she was a tiny bit close to and just had down. I wasn't quite fast enough, but still was very disappointed with myself. The six year olds was much smaller than the Foxhunter, but the whilst the Castle ring is very imposing it is very self-contained, the Frogmore ring is positioned so that the pedestrians and food concessions are on one side, and the horses all walk down two of the other sides. The working in is behind the trade stands, but is also full of distractions. Espirito Santo worked in very well, and settled quickly to finish his round very well. Luendi was so distracted that she could hardly canter in the warm-up and nearly had a heart-attack when she saw two miniature horses. However, in the ring she was a true professional and although she felt green she jumped very well, just touching the water tray. Another Windsor over, no prize money, but a good job done. 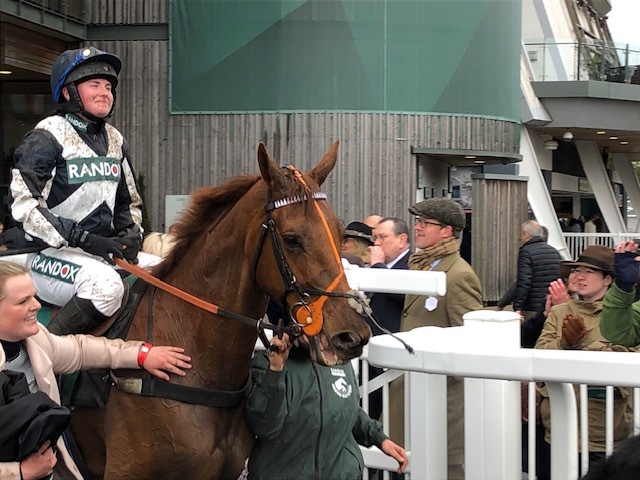 It is a tremendous education for the young horses and Emma made the 1.35 feel super easy, I have just got to raise my game a bit more now the fences are bigger and the competition more intense. The Wednesday weather was England at its best: warm, sunny and a beautiful evening, so it was hard to believe it was followed by Thursday: grey, cold and pouring with rain. We watched the A&B jumping, Becky bought a lovely competition jacket and some gloves and then we beat a hasty retreat. Very many thanks to Becky Forte who came with me. Good help makes a huge difference, and Thursday morning would have been very, very hectic without her excellent and very good natured help. We have a lovely weekend planned with a trip to London to see Anna and Sophie who have bought us tickets to "The Curious Incident of the Dog in the Nightime", and to meet friends for lunch, and maybe a little bit of shopping. Then it is off to the upgraded facilities at Coombelands on Wednesday and then very much looking forward to jumping in the new ring at Pyecombe the following weekend.